While Black History Month is almost over, I saw this in Barns and Nobel in New York and had to pick it up. Much like I had been reading Generation X in anticipation of the Douglas Coupland exhibit at the ROM, I’m hoping to read this before I go to see the Basquiat exhibit at the Art Gallery of Ontario. Jean Michel Basquiat became one of the best known avant-garde artist and painter part of the 1980s art scene in New York. This book provides insights into the relationship between Basquiat and his lover and muse, Suzanne Mallouk a Canadian runaway. Jennifer Clement is well known for her beautiful prose, and I have no doubt that she has excelled in telling this unorthodox love story. 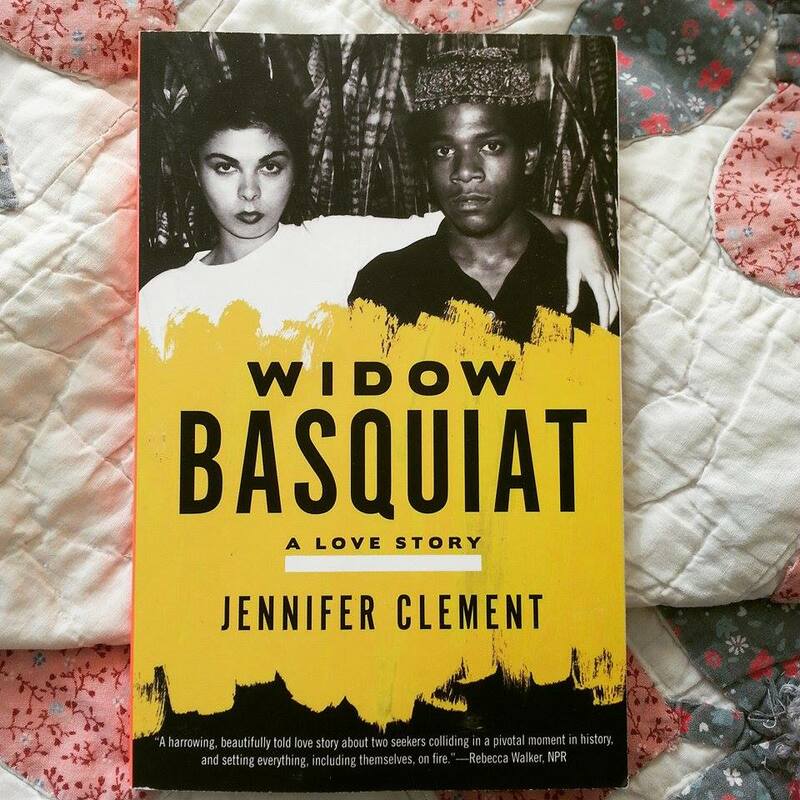 This entry was posted in #TBR Tuesday and tagged 1980s, Artist, Jean Michel Basquiat, Jennifer Clement, Love Story, New York, TBR, Widow Basquiat on February 24, 2015 by kwils3. This past weekend, Saturday Night Live held a three and a half hour live celebration of the show’s 40th anniversary. The special brought back favourite cast members and characters and did its best to stuff as many cameo appearances into as many sketches as possible. The show also features montages of some of the more memorable moments on the show. Everyone who was interviewed said the same thing, be it a host, a cast member or musical guest, that the experience was just so unreal. Live From New York is an oral history of the show from its birth in 1975 to the 2002-2003 season when it was published. It is 600 pages long as is simply conversations with people who were involved with the show. Seeing all of these old sketches made me want to learn more about what goes on behind the scenes, so I am looking forward to reading this. This entry was posted in #TBR Tuesday and tagged Behind the Scenes, Non Fiction, Oral History, Saturday Night Live, SNL, SNL 40th Anniversary, TBR on February 17, 2015 by kwils3. Ok so it’s more of a To Be Listened to, but I’m still very excited. I finished reading Yes Please by Amy Poehler a while ago and I wasn’t blown away. The audiobook however go rave reviews. Amy herself even admits in her book that she’s more comfortable reading out loud and performing so I decided to buy the book from iTunes with a gift card I had from 3 Christmases ago. I’ve put the whole audio book on my phone so I can listen to it while walking to and from class. I’m pretty stoked and will let you know how it measures up compared to the book. This entry was posted in #TBR Tuesday and tagged Amy Poehler, Audiobook, Comedy, TBR, Yes Please on February 10, 2015 by kwils3. This Friday, January 31, Douglas Coupland: Everywhere is anywhere is anything is everything, an exhibit originally curated by Diana Augiatis, Chief Curator and Director of the Vancouver Art Gallery, is opening in Toronto split between the Royal Ontario Museum and the Museum of Canadian Contemporary Art. Coupland is one of Canada’s most celebrated contemporary artists and writers, dealing with the “21st century condition,” a condition that affects us all. In anticipation of the exhibit I am re-reading Generation X, a salute to the generation born between 1950-1960, but which remains eerily relevant to us today. This entry was posted in #TBR Tuesday and tagged Contemporary Art, Douglas Coupland, Generation X, MOCCA, Novel, ROM, TBR on January 27, 2015 by kwils3.